Here you will learn to use the ODBC Data Source Administrator to set up a System Data Source Name which your applications can use to find the database they need. Click the Show me tab to watch a demonstration of how to create a System DSN. Click the Coach me tab to be guided through performing the procedure on your own. Click the Test me tab to simulate performing the procedure without assistance. Click the Let me tab to try the procedure for real. Click the Summary tab to see a recap of the procedure. 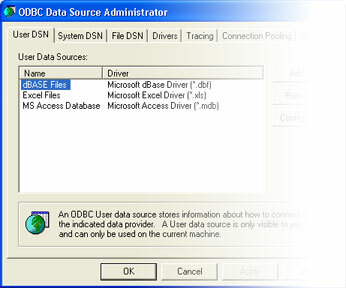 How do I access the ODBC Data Source Administrator?